Made by Breville Pty Ltd in China, Asia, 2003-2004. This stainless steel and die cast metal espresso machine has a detachable drainer grille and an internal plastic water tank. It is accompanied by a filter holder (portafilter) and two filter baskets, a plastic combined spoon and tamper device, a pin cleaning tool with instruction card, a stainless steel jug, a box for the jug, a cardboard box for the whole, advertising tags, an instruction manual, a warranty card and a bookmark. The espresso machine was designed by the Breville Design team at Housewares International in Botany, NSW, Australia and made in China. In 2005 the Breville brand was owned by the Australian company Housewares International. Breville was founded in Melbourne in 1932 and for over 40 years had been researching and developing new appliances. The Breville studio works closely with the Housewares International - Homewares design studio also located at Botany. The two studios work with local marketing, sales and engineering staff to create electrical appliances and homewares that are manufactured in Europe and China and sold all over the world. In early 2007 Housewares International sold its Homewares division to McPherson's Limited, distributor of consumer and personal care products under brands including Wiltshire, Crown glassware and Lady Jayne. This espresso machine was displayed in the exhibition 'Sydney designers unplugged: people, process, product' from 6 August to 9 October 2005 and subsequently donated to the Museum. It has not been used. 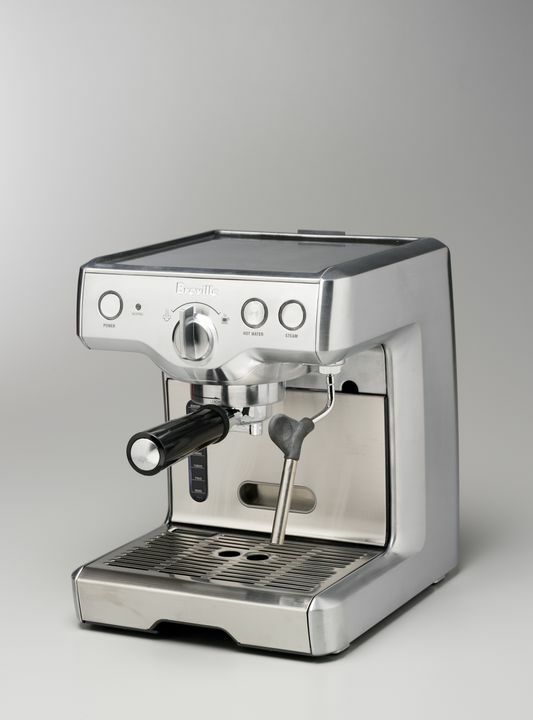 The Breville 800 Series Class Espresso Machine received an Australian Design Mark in 2005. Over 190 products were entered in the Australian Design Awards in 2005. The judging panel recommended 49 of these products receive an Australian Design Mark and of these, 20 products for an Australian Design Award. The products receiving the Australian Design Award were announced at a dinner and awards ceremony on 22nd April 2005 at Melbourne Museum.